Technical Training Certifications... Are They Relevant or Just Chatter? The study found that seventy-four percent (74%) of employees felt they were asked to do things on the job for which they were not properly trained. As it stands, many service providers don’t seem interested (or perhaps capable) unless such certifications are required or mandatory by the suppliers and manufacturers they represent. Mandatory certifications may ensure compliance but not necessarily commitment to learning—which is the point. The fact is the vast majority of advanced technical training certifications in arenas like the copier industry are dealer-voluntary. So what does it say about those who don’t voluntarily participate in them? Whether cost, commitment or perceived lack of value from, oh the way, the OEM, we think that's a pretty revealing question. A technical training strategy should be an integral part of any business strategy and formalized in a published technology plan. If you sell and support technology, you better get this! New business/market initiatives, rapid changes in technology, or taking on new products frequently require employees to acquire additional technical knowledge and skills. Ensuring expertise and relevance at the point of customer service/support requires a level of training not always offered. In a study cited in the book Demystifying Technical Training: Partnership, Strategy, and Execution¹, a majority of workers do not feel that they received sufficient technical training. Ever asked a technician that supports your technology about their training? Beware, responses may be sobering, especially when you consider how much you’re paying for such service and support. The study found that seventy-four percent (74%) of employees felt they were asked to do things on the job for which they were not properly trained. Like working on technology (i.e. copiers) they’ve never seen. Eventually, that’s when the exodus occurs with forty-one percent (41%) of employees under inadequate training programs establish their plans to leave within the year. In the world of business technology, meeting and explaining your support preferences and company expectations to yet another new service representative is a pain, a drain, and frequent cause for heads to explode. 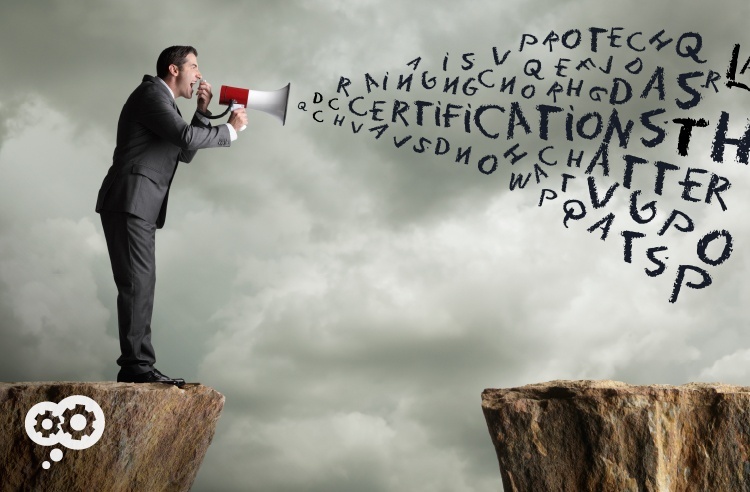 So what will advanced certifications do for you? So what do they mean to the service provider? Obviously, with some technical representatives training sticks and with some it does not. As long as there’s a commitment to a continuum of technical education, then training and retraining can take hold. As Thomas J. Watson, founder of IBM Corporation said, “There is no saturation point in education.” At Datamax, we believe active training stimulates proficiency (ATSP) and are committed to saturating our technical staff with opportunities to learn and grow. To visit more about our technical training certifications (i.e. Canon Association of Technical Service Professionals (ATSP), Konica Minolta PRO-TECH and Microsoft Gold Partner) and how they can help you maximize your return on technology, let’s talk. We think you’ll discover it's not just chatter, but enthusiasm for how they can measurably enhance productivity and success in your organization. ¹ Various content based on the book Demystifying Technical Training: Partnership, Strategy, and Execution by Wendy L. Combs and Bettina M. Davis.